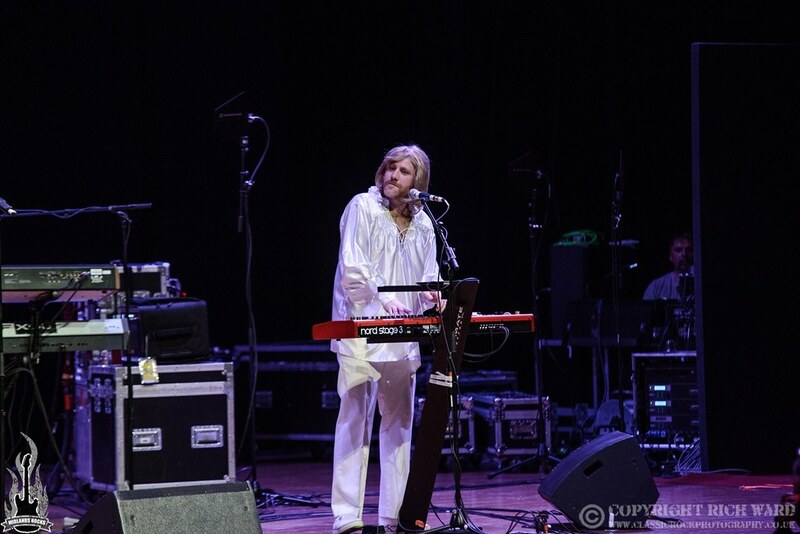 Symphony Hall hosted a special evening as two of Birmingham’s finest musicians were awarded their own “Stars” on the City’s Walk of Stars that (when the current building works are concluded) will line the pavement of Broad Street. 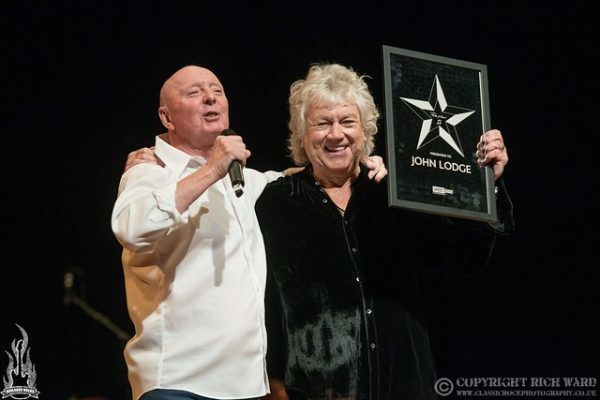 The event was hosted by Walk of Stars Chairman Jasper Carrott and saw performances by both award winners; John Lodge, legendary bass player, songwriter & vocalist of The Moody Blues and drummer Carl Palmer, best known for his work with ELP and Asia. With the event also serving as charity night in aid of Children’s Hospital there were also guest appearances from 70’s crooner Tony Christie and tribute band Strictly Abba. 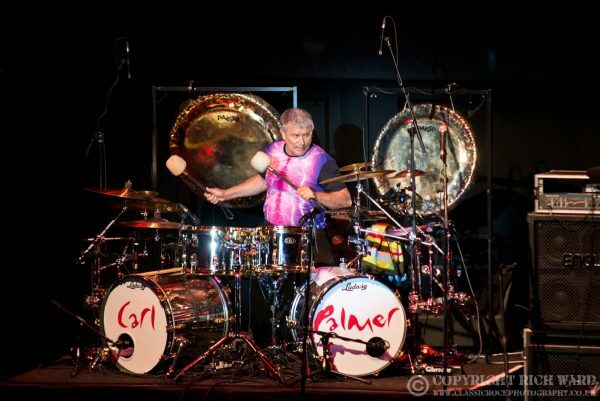 Back in 2014 Carl recalled his formative years in an interview with Midlands Rocks… “Make sure you make it clear that I was born in Handsworth Wood, the Wood part is very important; we had trees in our street. I’ve still got family in the area, my mother, my brother and my nephews are all there. I left Birmingham when I was 15; I finished school on the Friday and moved on the Sunday because I had an opportunity for a job in London with a guy called Chris Farlowe.” Going on to work with Arthur Brown and Atomic Rooster before joining up with Keith Emerson and Greg Lake he currently performs as part of a power trio; keeping the ELP legacy alive with a new twist in that there are no keyboards as part of the bands set-up. 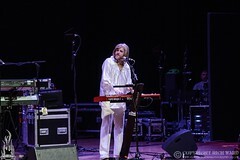 His thirty minutes or so on stage at Symphony Hall saw Carl and the Fitzpatrick brothers rip through thumping versions of ‘Fanfare for the Common Man’ (complete with a stunning drum solo) and ‘Carmina Burana’ that had Carl apologising to the crowd if it was too loud. 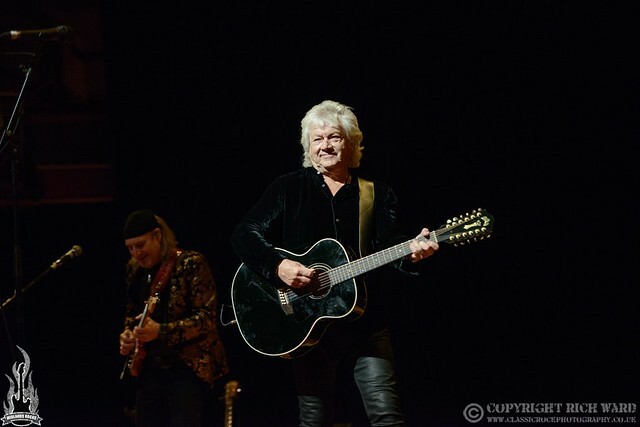 John Lodge closed out the evening over an hour of songs mostly taken from the Moodies songbook but which included deeper cuts that have been long absent from the bands hits laden tours of the past couple of decades. Recalling his early years as part of the 60’s Brumbeat era, John also reflected on his first meeting with the late Ray Thomas on a bus in the early 60’s before he led the band through a moving rendition of Thomas’ ‘Legend of a Mind’. ‘Peak Hour’ and ‘(Evening) Time to Get Away’, John’s key songwriting contributions to the Moodies 1968 masterpiece Days of Future Passed, were superbly performed by the band and his distinctive voice remains in terrific shape. 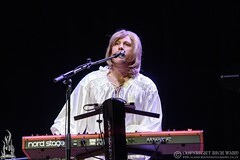 As the evening moved to a close it was two of John’s signature songs that provided contrasting yet standout moments, the harmony drenched symphonic epic that is ‘Isn’t Life Strange’ and driving rocker ‘I’m Just a Singer (In a Rock and Roll Band)’. Many congratulations to both John and Carl for being the latest and very well-deserved additions to the Walk of Stars.